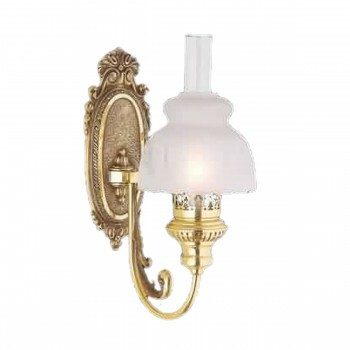 Sconces are solidly built and distinctive. Purchase your Sconces here today. Antique Brass finish. Solid heavy cast brass backplate. 11 3/4" high x 4 1/2" wide, projects 10". 15 1/2" high overall.